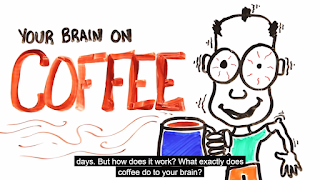 Home Uncategories What exactly does coffee do to your brain? 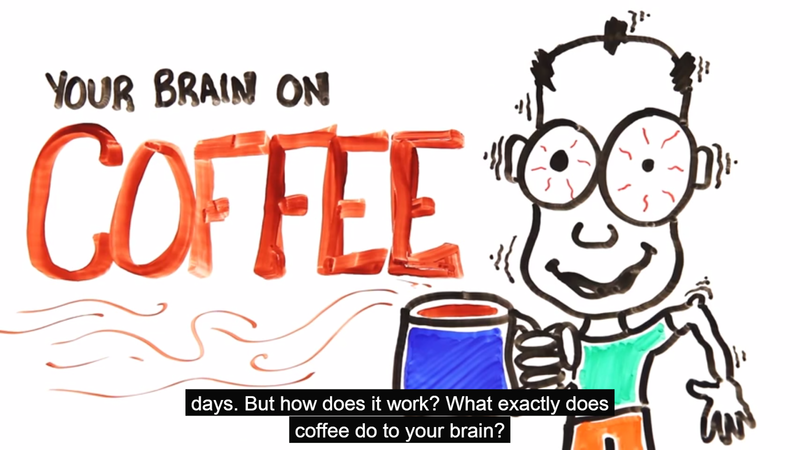 What exactly does coffee do to your brain? I am a heavy coffee drinker...around 3 cups a day. 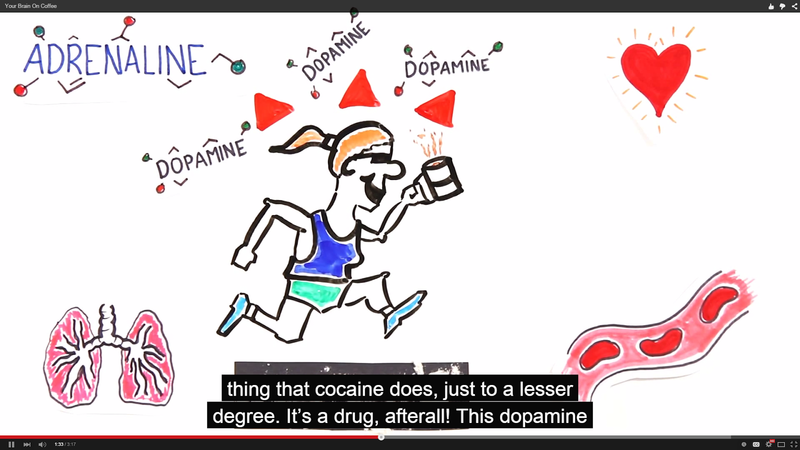 When I discover this video, my brain is telling me: quit coffee! 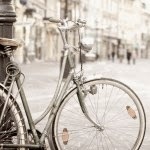 These pictures are screen cap of the key points from the video at the end of this post. 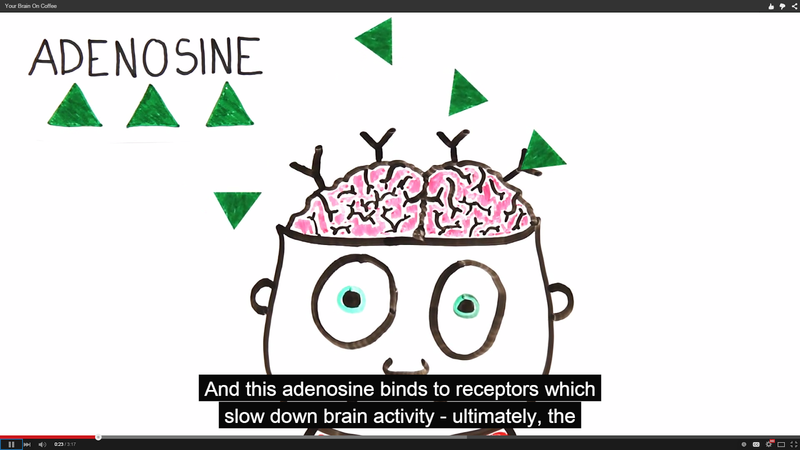 We all have natural chemical that keeps us awake: Adenosine. 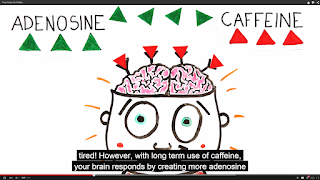 Caffeine in the coffee has similar structure of Adenosine. 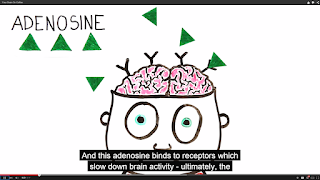 It fools the Adenosine receiptor and fills the place of Adensine. 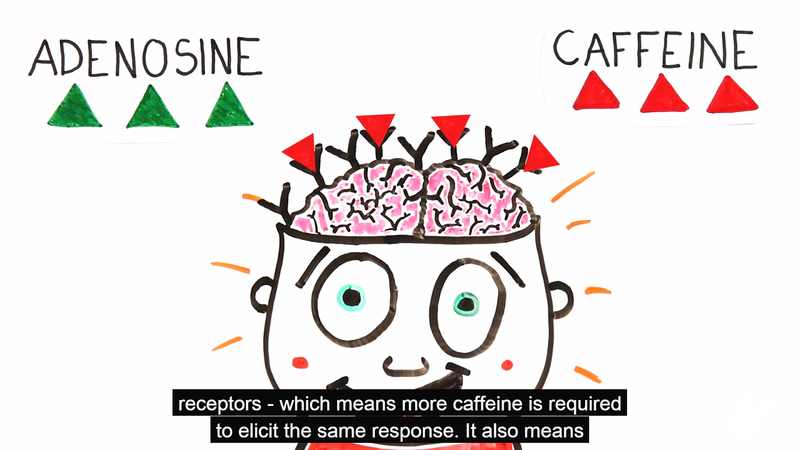 That's why caffeine makes us feeling awake. 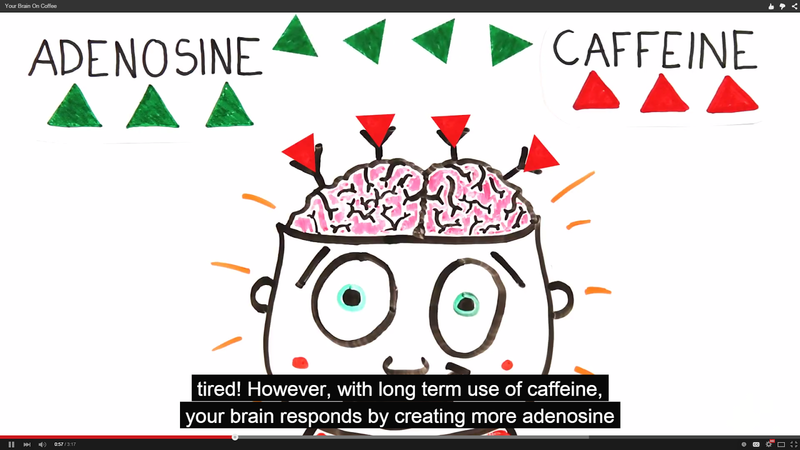 But overtime, our brain will create more Adenosine receptor and wanting more Adenosine. 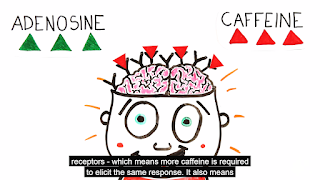 That's why we are addicted to more Adenosine (or Coffee). In a way Caffeine actually does what Cocaine does to our brain. Scary...I think I'll quit coffee now! Wonder if I have the will do so so.